Hi I’m Pat Sloan, the Aurifil Designer of the Month coordinator. 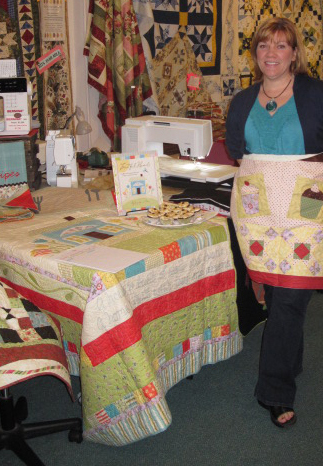 I’d like to introduce you to our November Aurifil Designer, the amazing artist and quilt designer Jacquelynne Steves! I believe I was following Jacquelynne’s blog for a while before I commented. 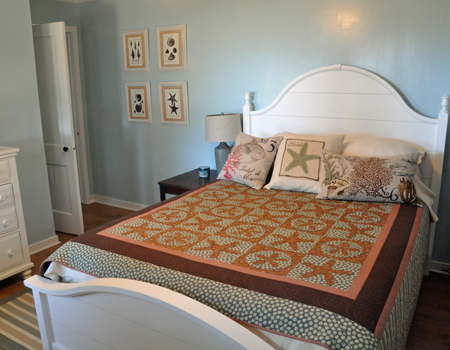 And when I commented on her great beach house decor, well we started to email and became great friends! Jacquelynne’s project this month is one that adapts to any fabric collection so well it might become one of my basic go to patterns! So let’s take a peek into Jacquelynne’s colorful world…. I did not grow up with quilts- my grandmother and great grandmother were really into crochet so we had afghans all over the house. I don’t remember the first quilt I ever saw, but I remember the first quilt shop I was ever in. I was on vacation and just happened to wander into this shop. I knew nothing about quilting, but I kept going back to the shop every day just for all of the “eye candy”- I just wanted to be surrounded by all of the beautiful fabrics and colors. Eventually I did take a class at a shop near my home- and that was it. I couldn’t believe I was actually able to make all of the beautiful things I had seen in that shop!!! I like a lot of contrast in my quilts- I like to really see the blocks and the pattern in the quilt. Also, most of my quilts have appliqué in them. Being a watercolor artist, I draw a lot, and a quilt just does not seem complete to me unless it has a little bird or flower or something on it somewhere. I like to do hand appliqué, but mostly I do machine appliqué because I want to finish my projects quickly and get on to the next one! 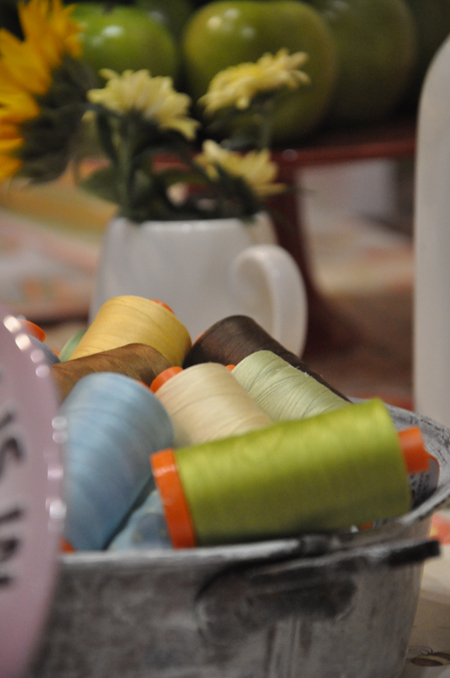 I love the range of colors of the Aurifil thread- they are so beautiful! I use the 50 wt. thread for machine appliqué. Definitely choosing the colors and fabrics! I just love walking into a quilt shop with all of those choices in front of me. 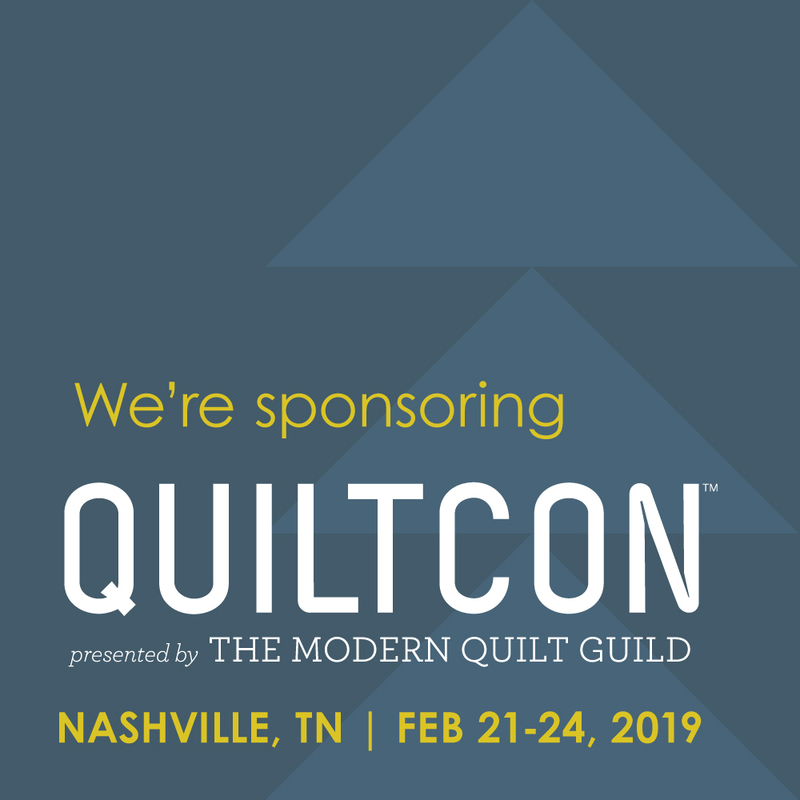 I know that part of the process is very intimidating and daunting for a lot of people, but I love all of the possibilities quilting presents. What I usually do is hone in on one or 2 fabrics that I really love, and then build the rest of my fabric selections around that. It is like putting a puzzle together, finding the perfect combination of fabrics, and I love that kind of creative challenge. I do watercolor paintings when I design all of my fabric lines, which I love- I have been painting for 10 or 15 years now. I love the idea of a blank piece of paper becoming a work of art… Like most creative people, I have tried almost every craft- scrapbooking, cross stitch, pottery- I even once tried my hand at making Ukrainian Easter Eggs! I have all of the supplies for every type of craft in my basement- someday I will have a yard sale and make enough money to build an addition onto my studio! Now mostly I stick with the painting and sewing- I would love to do more but there are only so many hours in a day….. I have a B.S. degree in Nursing. I guess when I was going to college, I decided that would be the most practical career choice for me. I really never took an art class in high school or college, although I was always very creative as a child. After college I took a few painting classes, and while I was home with my kids when they were little, I had time to try lots of creative outlets. Now I spend all of my time doing my creative business, and I love it, love it, love it. I cannot imagine myself doing anything else. For me that changes from day to day. Anything I can do to get out of my usual routine is good for me. 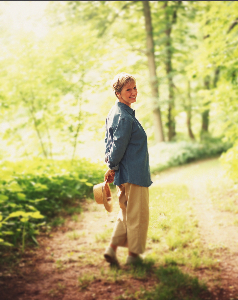 Sometimes it is taking a walk on a nice day, admiring nature and having some quiet prayer time. Other times it is cooking a special meal or dessert, or making a sewing project that is not work related, but just for me. And I just love plopping myself down in the magazine department at Barnes and Noble with a big cup of tea. I definitely like to have a clean work area to start a new project. I think much more clearly when my surroundings are clear and neat. To get my creative energy going, I love music, all kinds of music- sometimes I listen to classical music to “carry me away,” and sometimes I turn up the Joan Jett really loud and rock out!! A lot of times I start out with a color palette in my head- maybe it was something I saw in a piece of artwork, or in a catalog or magazine. Then a theme might come to mind. Sometimes it is the opposite- I have the theme in mind first, and then an idea for a palette germinates from there. I store a lot of inspiration in my head when I am walking through shopping malls or museums. Websites like Pinterest are always inspiring. I like the 50 wt for both piecing and machine appliqué. I have noticed that my piecing is definitely more accurate since I started using it. And for machine appliqué, sometimes I match my thread to my fabric, but often I go to the brown #1285- I use a wide zig zag stitch and it gives my appliqué a handmade, kind of folksy look. I use my hem gauge a lot- it is one of those little 6” rulers that you find in the notions department that has a sliding marker on it. 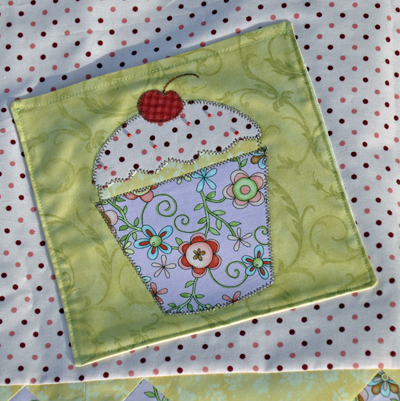 It’s great for positioning appliqué pieces- you can get every piece the exact same distance from the edge of the block or fabric. And I really like my Alto cutting mat- the little ledge holds the end of your ruler so it doesn’t fishtail around while you’re in the middle of a cut. I HAVE to have some kind of music or a favorite movie on while I’m sewing. I haven’t done a lot of traveling up until now. 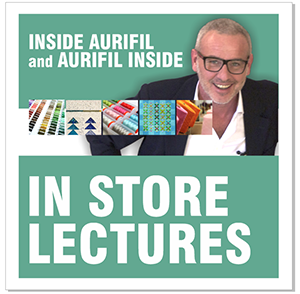 I do teach at local shops and speak at local guilds. But now that my “baby” is a high school junior and is soon getting her driver’s license, I will be more free to travel. If anyone is interested in having me come out, they can send me an email. I do like seeing new cities! Well, I think that really depends on the day! I am quite organized and detail oriented- which means that sometimes I drive myself nuts with the little details. But although I am very organized, I also tend to be a little scattered, because there is always so much going on in my head that I have a hard time staying focused and not getting distracted. I depend on lists to keep me on track. There are Post-it notes everywhere, in every corner of my office and home. Hmmm, that is tough, there are so many! I’ve been a longtime fan of Dutch artist Marjolein Bastin. She does wonderful, beautiful watercolors of animals, flowers and still life’s, and I think she is kind of a modern day Audubon. I would love to walk through the prairie and forest with her, spying on little creatures and collecting leaves and feathers and stones. Then we would come back to the studio and do some sketches and paintings together, and talk about all of the beautiful and interesting specimens we had seen that day, and of course enjoy some tea and cookies, too. Then the next day we would explore the beach and do it again. Marjolein’s art really reveals her appreciation of the beauty and wonder and details of nature. I would love to spend a day or two seeing the world through her eyes. 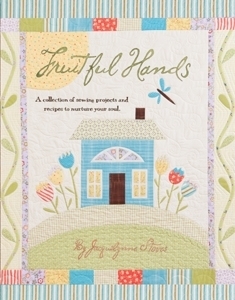 I’m very excited about my book called Fruitful Hands, published by Kansas City Star Books! 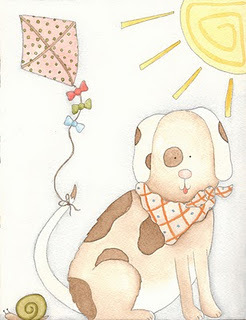 It has 13 projects, 12 recipes- and I did all of the watercolor illustrations myself. It was a lot of fun to put this book together- all of my favorite things- sewing, painting and cooking- in one labor of love. Also, I have a couple of new fabric lines for Henry Glass which will be available in shops any day now- Apple Blossom Acres and A Beautiful Day. 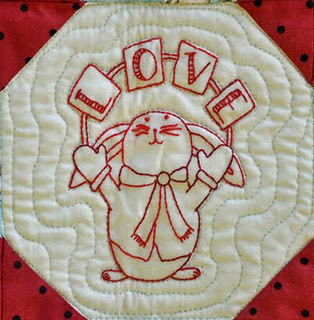 My brand new pattern, A Beautiful Day (which coordinates with the A Beautiful Day fabric line), has patterns for hand embroidery, but even more exciting is the fact that we have digitized the embroidery designs for people who love their embroidery machines! We used Aurifil #2360 (50 wt) to embroider the designs and it came out beautifully! The CD as well as the pattern are available on my website. Your Favorite Movie- Anything involving period costumes and English accents. I’m a huge Pride & Prejudice 2005 fan. The Color you have always LOVED….. I am a RED girl!! 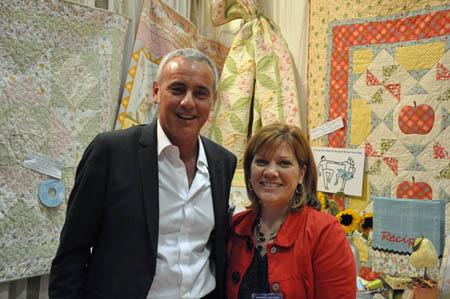 ← Fall Quilt Market Booth Hop! 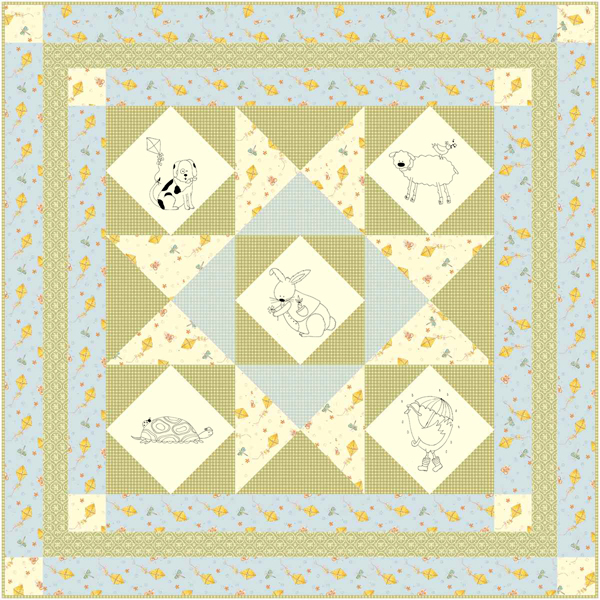 Thank you for introducing Jacquelynne to us so we can love her designs, too!!! 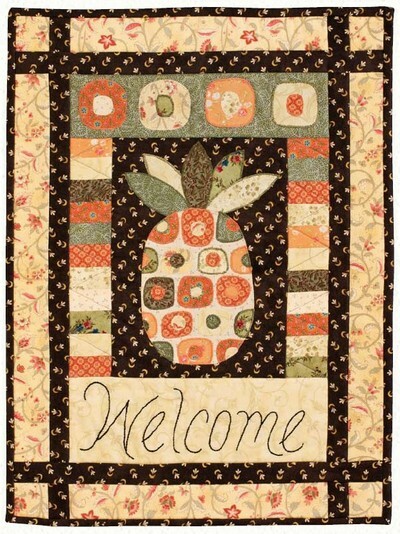 I love the pinapple quilt — is that a pattern? I’ve been a long time follower of Jacquelynne’s blog. She is so creative! I’ve been following Jacquelynne for quite a while too. Thanks for sharing some interesting facts about yourself. It’s great finding out how designers got started. The Noble Wife is one of my favorite blogs. I love J.S.’s sketches published in The Country Register. Family duty is calling so will download the pattern later. Pat, Thanks for the bio interview. 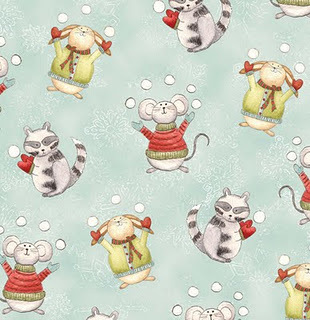 I’m a long-time follower of Jacquelynne — love her fabrics and her patterns, too! Fun to hear the answers to the questions that you posed, Pat. Enjoyed reading this, and so happy that she is the designer of the month — I think you picked a great one! I have been following Jacquelynne’s blog for some time and I bought her book and hope to start a project from it soon. I really enjoyed reading more about her and I love the pattern she shared with us. I am inspired and now plan to get up to my sewing room and make something. Thank you for a great interview with Jacquelynne! 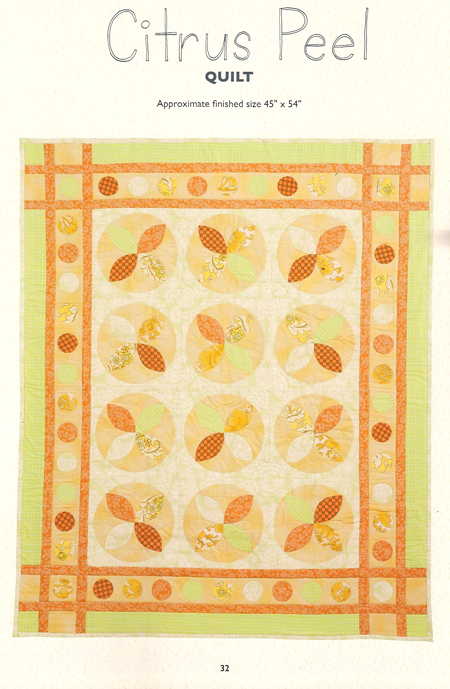 She used Aurifill #2360 for the embroidery design on her quilt, “A Beautiful Day”, a great name for a beautiful Quilt! 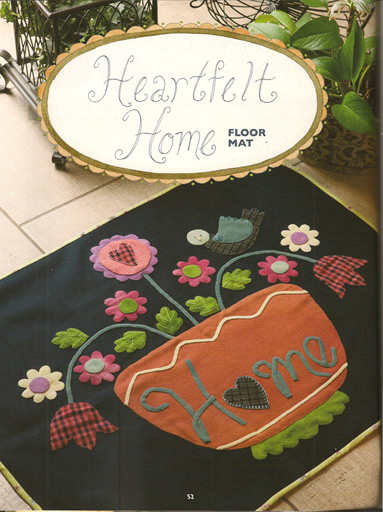 She used #2360 to embroider the design on “A Beautiful Day”. 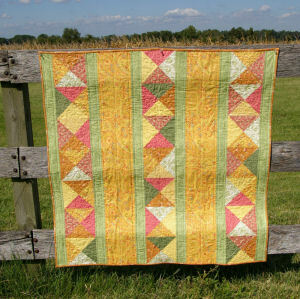 What a great clloection of quilts. All them give the Happy Vibe!!! 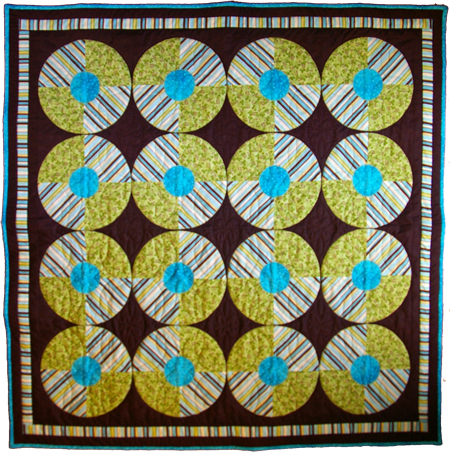 Jacquelynne’s “A Beautiful Day Quilt” was beautifully embroidered with Aurifil 50 wt. #2360.Thanks for sharing another amazing designer. I love the cupcake and the pineapple ones!